An event called ‘New Frontiers of Taste’ was held in Cheltenham last summer, as part of the Cheltenham Science Festival. An audience of over 250 explored the ‘science of taste’, with a panel of experts that included chef Heston Blumenthal of the Fat Duck in Bray, and the founders of a recently launched drinks company called Isaké. Isaké is importing a unique range of truly premium Japanese sakés into the UK, and part of their mission is to educate British palates in the subtleties and intricacies of this ancient beverage, especially by pairing different saké styles with classic European cuisine. The process of making premium Japanese saké is every bit as exacting as the finest wines or malt whiskies. Whilst the source and purity of the water used is all important, the rice for saké, a beverage that is fermented like beer or wine, is bewilderingly complex. Over 60 varieties of saké rice are cultivated (all different from eating rice), with some more highly prized than others. Just like Grand Cru vineyards, particular regions are famed for their suitability to grow the highest quality rice of specific strains. The rice is then polished to prepare it for brewing, removing fat and proteins. For some premium saké only 35 per cent or so of the rice kernel will be left behind. The polish, as well as the rice strain, will greatly affect the flavour of the finished product. An evening in Jean-Louis Naveilhan’s company recently offered a mesmerising introduction to the rituals and precision of the world of premium saké. This is not the firewater stuff served lukewarm in countless oriental restaurants, but rare bottlings from small brewers, with prices starting at around £21, and rising to £660 for a bottle of the 115 year-old Yumatogawa brewery’s Inochi Crystal, made with the spring waters of Mount Iide and polished organic rice. One of the main purposes of that event in Cheltenham where Isaké unveiled thier brews, was to explore umami. Traditionally the west has believed that all flavours can be experienced as just four basic tastes: sweet, sour, salty or bitter. Umami, the fifth taste, has long been recognized in Japan, but largely unknown in the west. 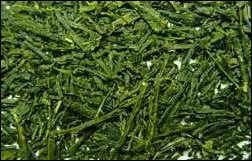 A Japanese scientist called Dr. Kikunae Ikeda discovered that glutamic acid, an amino acid, was responsible for the unique taste of Konbu, a Japanese seaweed delicacy that defied all four standard taste descriptors. This fifth taste he called umami: a savoury, slightly meaty taste imparted by foods high in glutamate. And so I found myself one summer’s evening in an excellent Italian restaurant in southwest London called Fabbrica, where Jean-Louis Naveilhan was about to initiate me into the wonders of premium saké, and the mysterious world of umami. It transpired that of all the foods in which umami can be detected, ripe tomatoes and Parmesan cheese come right behind Japanese Konbu. Hence the Italian connection. Isaké also import the teas of the family run Kanematsu company, founded in 1900 and producing tea in the Shizuoka region for four generations. Green tea is not a variety, but a way of harvest. Whilst Indian or Chinese black tea is harvested ripe then dried, Japanese tea is made from young leaves that are briefly steamed as soon as they are harvested to preserve all medicinal and nutritional properties. So before the food came a little ceremony of green tea. We drank the tea, then mashed the remaining leaves with a little soy sauce before eating them. This was an introduction to umami, and apparantly good for the health. There followed a procession of dishes strong in umami flavours, and matched to a specific saké: a veal carpaccio rich with sun-dried tomatoes, pine-nuts and capers with Cocoo, a delicate, dry, grass and watermelon-scented saké; baked cod and a salad of green beans and peppers with Kaze, a much more tangy, citrussy saké with a dry finish; a hot chocolate soufflé pudding with Taisetsu, a saké with the merest hint of sweetness and soft, rounded fruit flavours. Umami? Yes, I got the picture of its slightly gamy, dry, leathery character: as much a texture and a sensation as a flavour one can pinpoint. The quality and delicate shades of the sakés were a revelation, opening up an exciting vision of a whole new set of drink expressions about which I need to learn more some day. Isaké sells direct from its web site at www.isake.co.uk.